Elisso Virsaladze was born in Tbilisi, Georgian SSR. She received her first piano lessons at the age of 8 from her grandmother, Anastasia Virsaladze, a well-known music teacher and pianist in the Georgian SSR. She graduated from the Tbilisi State Conservatory, and continued her education as a postgraduate student at the Moscow Conservatory. She studied with Yakov Zak and Heinrich Neuhaus. 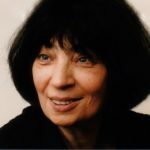 She won the third prize in the prestigious International Tchaikovsky Competition in Moscow in 1962 and the first prize in the Schumann Competition in Zwickau in 1966. Virsaladze has been teaching at Moscow Conservatory since 1967 (She became a professor in 1994) and at the University of Music and Performing Arts in Munich, Germany, since 1995.